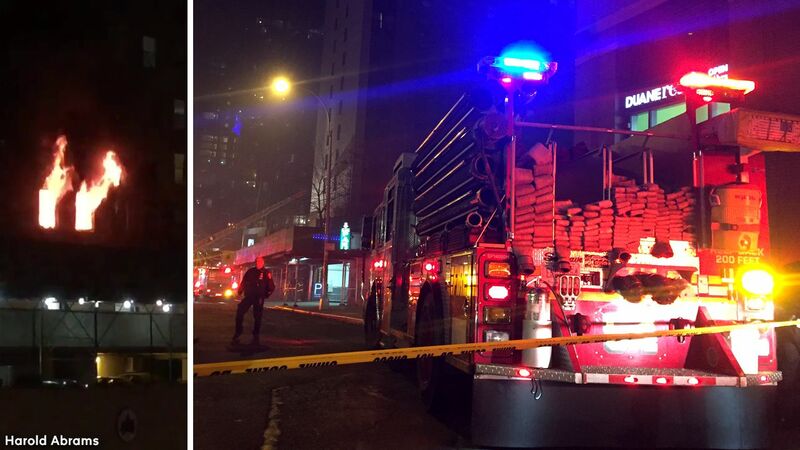 MANHATTAN, NY -- Three firefighters are among 18 people hurt in a high-rise apartment building fire on Manhattan's Upper West Side Thursday afternoon. The three-alarm fire broke out on West 59th Street near Tenth Avenue just after 5 p.m.
A total of 13 people were hurt in the fire, three of them seriously. The three FDNY firefighters suffered non-life threatening injuries. Fire officials said the fire started in a third-floor apartment. FDNY trucks lined the streets surrounding the building and officers shut down traffic in the area.